A Great Oreo Cookie Day! Thank you to everyone that participated in Oreo Cookie Day today! We loved seeing all of the notes and pictures!!!! 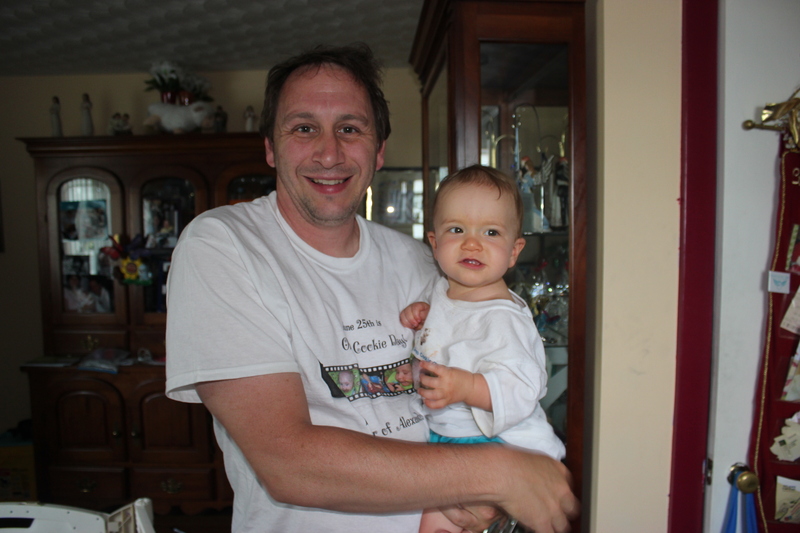 It was international today, as Richard’s brother and family are in Europe! They had them in London, in the plane over Paris and then again in Rome! We brought Oreo’s to the Floating Hospital for Children for Alexander’s Nurses and doctors, along with some toys for the little kids and babies in Honor of his Birthday which is Saturday. The Pillow Case Ladies (http://www.conkerrcancer.org/) were there today too, and they brought some Oreo’s for the kids also! 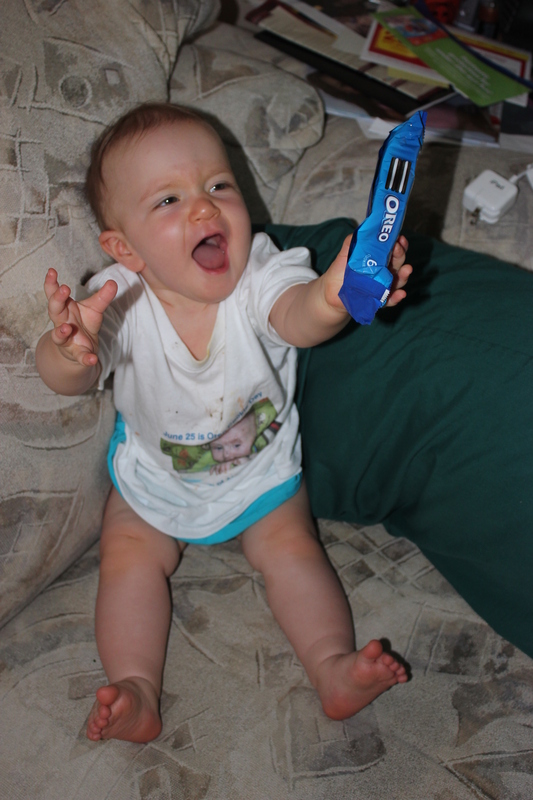 As you can see in the pictures, Julia enjoyed her First Oreo Today! It was a wonderful day to Honor our Sweet Boy who we miss so much! 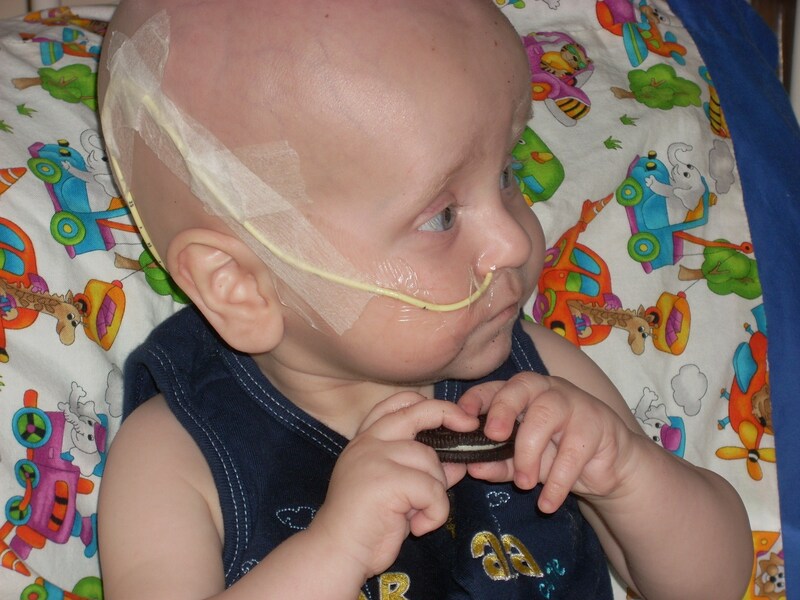 As many of you know, because of Alexander’s tumor, he was not able to eat and was on TPN almost the whole time he was in treatment. 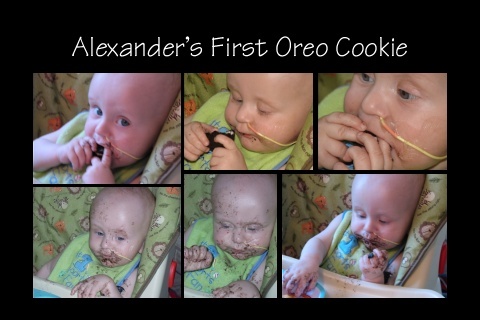 He did however enjoy and Oreo Cookie on occasion! 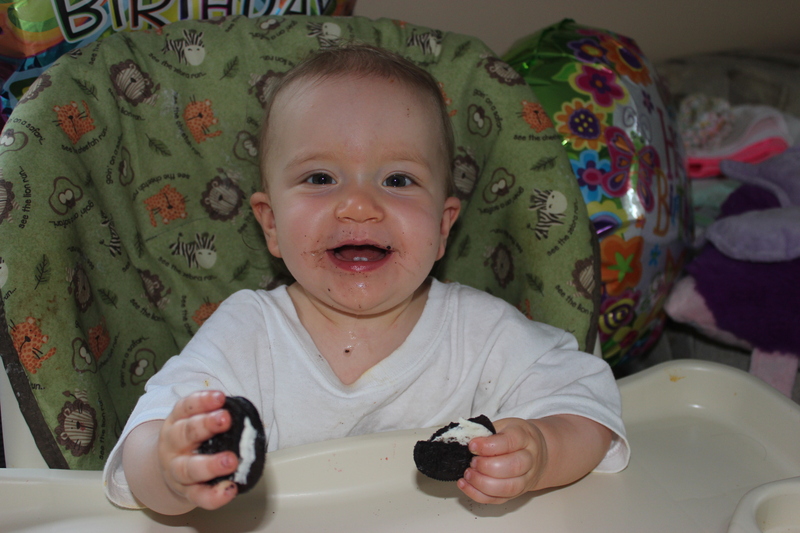 He had his first Oreo on June 25, 2010. 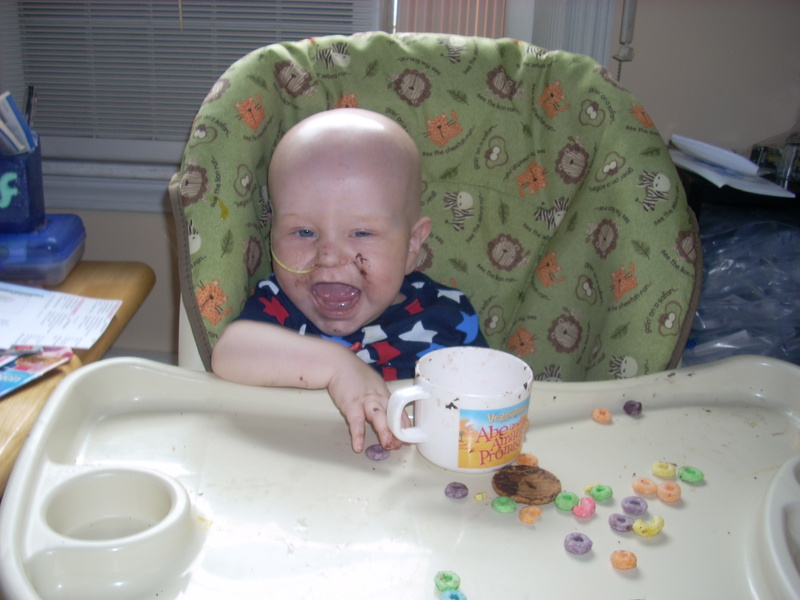 We have since declared June 25th to be “Oreo Cookie Day” and ask everyone to have an Oreo in his honor. 1. Does it have to be a Regular Oreo? Foods brand, that is FINE! Factory or Oreo Ice Cream? 3. 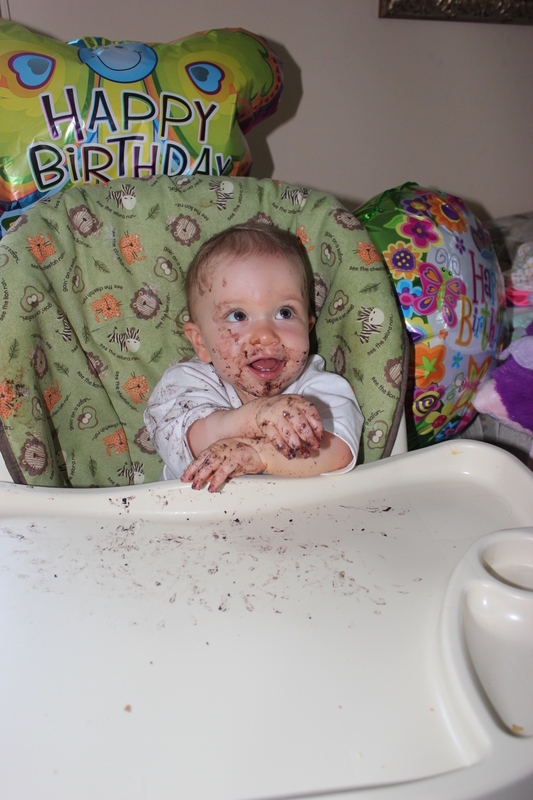 I don’t like Oreo’s – what am I to do!?!? 4. Can I invite my friends to Join!? A. YES! The more the Merrier! 5. Do you want me to share pictures? A. YES! We LOVED seeing pictures and stories last year!